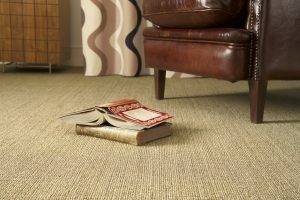 Your carpet and flooring are an integral part of your home. Not only are they part of your décor, they add warmth and comfort to your whole environment. 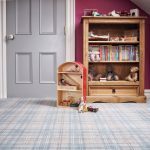 We have a wide range of carpet and flooring that are suitable for every room in your home, whether that’s a luxurious carpet for your bedroom or parquet flooring for your hallway. Over the coming weeks we are going to focus on one room at a time and provide you with what we believe works best for that particular room based on our knowledge and experience. We’ll also include links to key manufacturers we trust to deliver the highest quality products. We hope you find this valuable and that it inspires you to choose the carpet or flooring that is right for you. We believe people spend the majority of their time in the living room/lounge so that’s where we’re going to start! Lounges need to be homely, welcoming and comfortable, but they come in all shapes, sizes and styles, so your carpets need to as well. 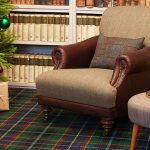 If you’re looking for the sumptuous luxury of a wool carpet then you have plenty of choice, whether you’re after complex patterns of bold striking colours. Wool provides comfort underfoot whilst insulating your home and helping to reduce energy costs. It absorbs sound to give a sense of calm and tranquillity and is naturally fire resistant. 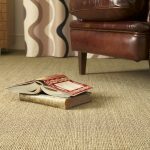 Cormar Carpets have a fabulous selection of natural wool loop texture lounge carpets which are hard wearing and have a fine finish and dense pile surface. 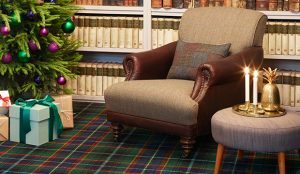 Brintons have a range of amazing wool carpets that are naturally tough giving you luxury that lasts for longer. 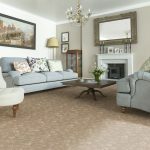 They believe rich colours add space with depth and interest to a space and carpets are ideal for adding grown up grandeur and glamour to a room. Rather than contrasting with lighter shades, sometimes it’s more interesting to be brave and embrace the space you have by using the same dark shade on every surface as it can actually make the overall room feel bigger, not smaller. 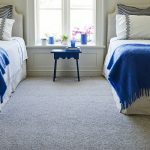 Jacaranda believe that pure wool still makes the best carpets, with the elasticity of good quality wool giving excellent resilience and wear properties. It holds less ‘static’ than most synthetic yarns so does not attract dust or promote the growth of dust mites or bacteria. 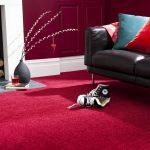 Alternative Flooring love wool carpets as they are a natural insulator, inherently fire retardant, easy to clean and have natural bounce backability, so you can take your shoes off and feel the luxury of a squidgy thick carpet under your feet. Their snuggly knits keep you warm, baffle out sound and welcome you like an embrace froma long-lost friend. 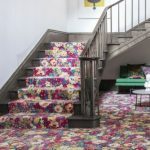 Patterned carpets are ideal especially if you have children because they drop absolutely everything on the floor and if you can hide at least some of the accidents then you’re doing well! It can however be quite a nerve-wracking thing to go for a pattern, but the pay-off can be amazing. Axminster are super excited about the move away from minimalism to a more progressive design ethos, embracing a new aesthetic of freedom and expression. 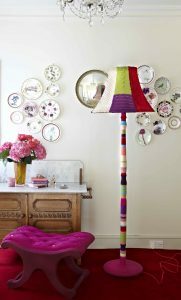 Monochrome graphics, geometrics, psychedelic patterns combined with bold pops of colour add real depth and character to your space. 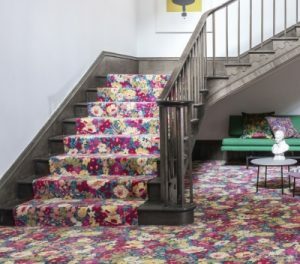 With Alternative Flooring’s Quirky B you can explore award winning patterned carpets from contemporary geometrics, florals, paisleys and animal prints. Ulster think the summer months are the perfect opportunity to bring bright, vivid colours into your homes and have the perfect options to bring some character to your floors. 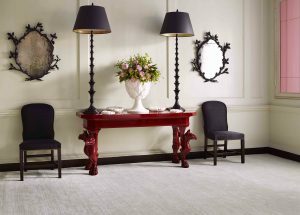 Many of their Wilton carpets come in an array of striking hues such as Ulster Velvet Imperial Red or York Wilton America Blue. We do hope these suggestions have inspired you to explore different styles to create a warm and welcoming living space in your home.